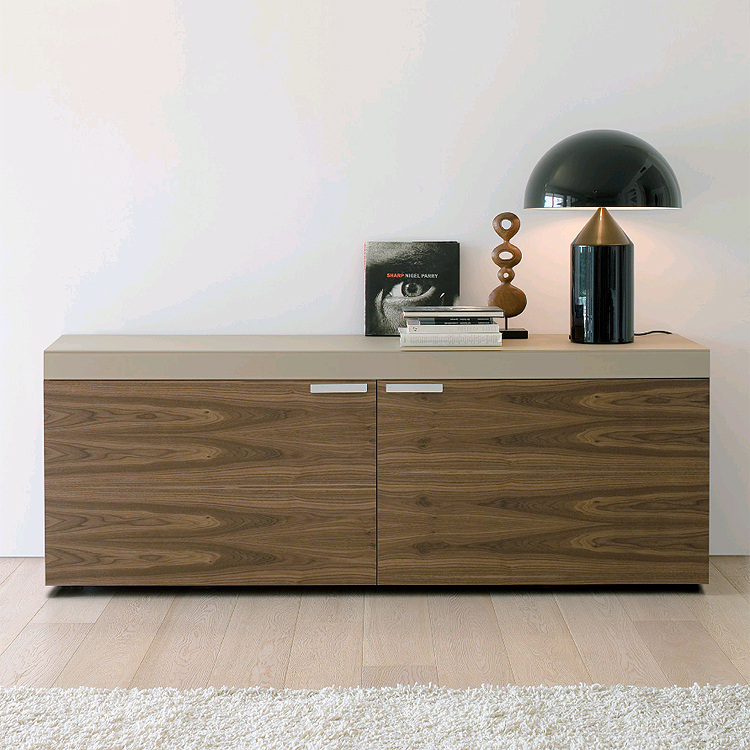 A sleek contemporary sideboard with a wooden or lacquered wood frame and a painted glass top. 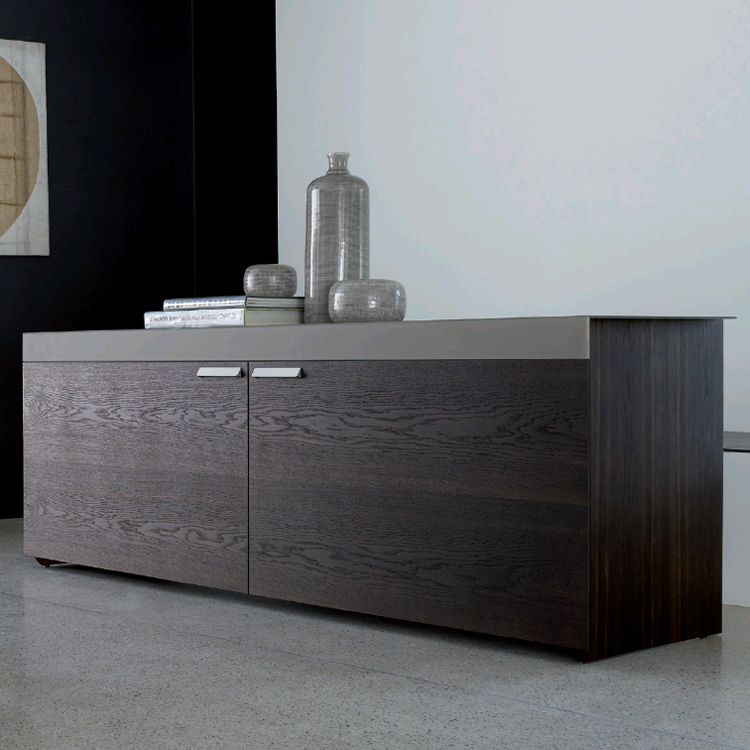 The doors are wood, lacquered wood or painted glass and open by coplanar-system, sliding parallel to the sideboard. Internal shelves in tempered clear glass. 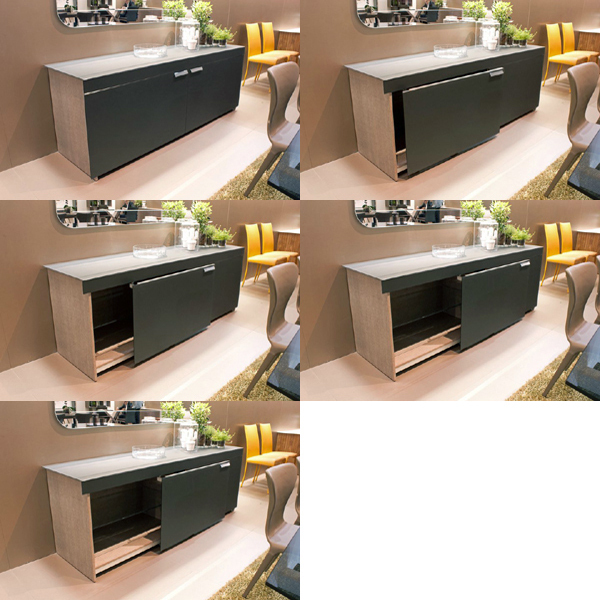 See sample cards below for all color options.